I have been so incredibly inspired by the work of the women behind the #DisruptTexts movement. This movement, started by a group of fearless educators: Tricia Ebarvia, Lorena Germán, Dr. Kimberly N. Parker, and Julia E. Torres, have been leaders within the work that is needed to disrupt the cannon and also help all of us change the work we do with texts in the classroom. While I am lucky in the sense that I don’t have canonical texts I am forced to explore with my 7th graders, I have realized that habit and ease had gotten me stuck in certain texts, that sure, seemed to work for students, but didn’t do much for their exposure to other points of view, nor did it represent all of the lives of the students I teach. 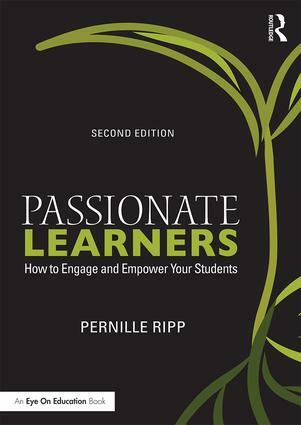 Thus a mission for the year began – disrupt the texts I use with students, pay attention to my own selection process, and ultimately create a broader experience for all kids in order for them to have more critical exposure to many perspectives. So what does that look like for me? Well, it began with two questions; why am I selecting the texts that I am and how can I select others? As I looked at my lists of short stories, read alouds, picture books, and even book talks, I quickly saw a pattern. While my own reading life is fairly inclusive, my academic usage was not. The same texts were used year after year and many of them were predominantly created by white, cisgendered, heteronormative people. Even though I had been trying to purposefully select more inclusive texts! While there were units where the scope had broadened, there was still this dominance, a thread, of the same type of texts used and highlighted. Read alouds. I have always mostly selected our read alouds based on the merit of the story. Is it a story that will elicit interest and conversation? Will my students be changed after this read aloud? And yet, I did not pay much attention to the author and the identity they represented. Now, the two go hand-in-hand. Questions I use to assess whether a book should be read aloud are many, but a few are: How is this author’s identity represented within the text? How is it different than what my students have already been exposed to? How is the main character different than the last main character we got to know? Book talks. Once again, random selection was the way I did book talks. Sometimes it was a book I had just finished, other times an old favorite. This meant that I didn’t always remember which books I had book talked and surely did not pay attention to whose stories I was book talking. Now, my system is twofold – I write down the books I plan on book talking and also keep a written poster in our classroom, which I fill in after a book talk. While the poster will need to be replaced soon, it allows me to see the bigger picture of what I am blessing through book talks. Just looking at it today, I realized that I had not book talked any books featuring characters from within the LGBTQ community, which is something I plan on rectifying. Seeing this was a reminder to book talk more books by female authors, as well as authors from within the LGBTQ community. Short stories and text excerpts. This is where I needed the most disruption. I had some great short stories that captured the interest of students, but most were by white authors. I simply had not paid attention to this part of the selection process and had instead just grabbed stories others had recommended or stories that I knew. And this is part of the problem I think for many of us; we recommend the same stories over and over, we remember the same stories being used and somehow they then receive more merit as legitimate texts than they really deserve. Now, my selection is focused on the author’s identity, the main character’s identity, as well as whether the story fits our purpose. By using fantastic short story collections such as Funny Girl, (Don’t) Call Me Crazy, and Hope Nation, as well as first chapters from great #ownvoices books I am ensuring that my students are meeting new fantastic authors and stories that will hopefully not only better represent their own experiences and identity, but also the identities of others whom they may not know. So what can you do if you want to start disrupting your text choices as well? The first would be to follow the work the movement #DisruptTexts and the women behind it do, but then also audit yourself. What are you reading? Book talking? Sharing? And using with your students? Whose identities and experiences are being represented as the norm? Whose voices are left out? Read more inclusive texts and start a document to track texts you may potentially use with students and their purpose. We have a shared mentor text document as a team where we can drop text in as we find them. Create visuals that show you just what you are blessing and share and take the vow to do better, to notice your own patterns and change the texts you use. 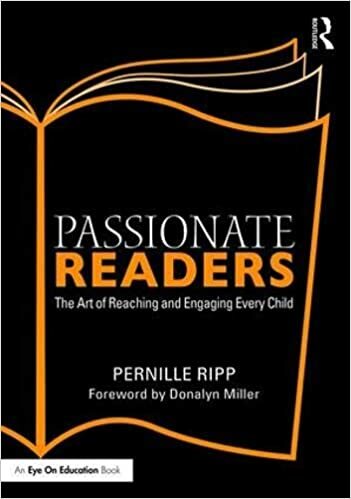 While I still have a long way to go, I am already feeling better with the intentionality of the texts I am exploring with students, as well as the opportunities we still have to do better. As always, thank you for your posts that seem to come along at just the right time. Do you have a suggestion for a short story that focuses on character details? I have Eleven by Sandra Cisneros as a possibility, but I’m looking for additional choices.